Being in AA can certainly provide an advantage in a license reinstatement case. Although AA is not required to win a Michigan driver’s license restoration or clearance appeal (more than half of my clients are not in the program and I guarantee to win every case I take), it’s time to revisit how AA can help. For anyone who has quit drinking, whether through AA or just because you said “Enough!” and meant it, the simple reality is that staying quit means understanding you can’t pick up another drink. While AA didn’t invent this reality anymore than Sigmund Freud invented the subconscious, each discovered, and, more important, named these respective concepts. As Freud gave us the language of psychology, AA has given us the “language” of recovery. This has shaped the very way we describe a person’s relationship to alcohol: How and when it becomes problematic, and how and why that does, or does not change. Indeed, it is almost impossible to have any kind of discussion about recovery without using at least some concepts and language from AA. To be sure, AA was the first game in town, and, for a long time, it was the only game in town. 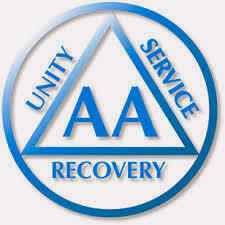 Founded in 1935, AA held sway as the only path to recovery for decades. Although it is now a misconception that you need to be in AA to win a license appeal, there was a time when that was true. Indeed, I remember a time in my own practice, probably about 20 years ago, when we’d have but one simple question of anyone calling to get his or her license back: “Are you going to AA?” If the answer was “yes,” then we could continue the conversation. If the answer was “no,” then there was no point going any further. Instead, I’d simply advise the caller to start going to meetings and get sign-in sheets, and then call me in a year. Things have changed dramatically over the last 2 decades, but the legacy of AA still casts a long shadow over the Michigan Secretary of State Administrative Hearing Section (or AHS, and until recently known as the “DAAD”). This means that being in AA still provides a “leg up” in a license reinstatement appeal. There is a reason AA is called a “program.” It has twelve steps, and not just one. I will skip over even the most basic summary of the remaining eleven steps because doing so falls outside the scope of this article. The idea, however, is that a person’s transformation in AA is part of a larger and ongoing program of steps that, when worked properly (here we could, but will not, detour and examine the whole concept of “higher power” and how it is processed by the believer, the agnostic, and the skeptic), will help a person become far more existentially healthy than would be the case by merely not drinking. In the world of license appeals, and by that I mean in the world where people win license appeals, AA participation comes in 3 flavors: Mild, medium and strong. Here, I cannot help but editorialize a bit, because I genuinely believe that one reason some people leave AA sooner or later is too much unpleasant contact with the “strong” variety of fellow participant. The “medium” type of AA person is really your typical AA attendee; someone who goes anywhere from once every other week to one or two times a week. Some have sponsors while some don’t. Some have done a fourth step inventory; others have not. To varying degrees, these people buy into the AA philosophy, but always as just a part of, rather than the whole centerpiece of their lives. Many of these people will leave the program after a time because they feel strong enough in their own sobriety to stop going to meetings. In many of those cases, life gets busy and meetings get hard to make. Then, one day, the person realizes that the whole reason he or she is busy (with good things, like work and family and school) is because he or she is no longer drinking. As a client of mine once described it, he didn’t want AA (meaning his time commitment to the program) to prevent him from enjoying the gifts of sobriety (meaning work, family and friends). The mild type of AA person may have gone for a while and then moved on, or may just show up sporadically. Grateful for the early help that AA provided, these folks, while far from cheerleaders of the program, aren’t out to rip on it, either. Frequently, however, when asked about their time in AA, these people will begin by listing off the help they got and the things they learned while attending meetings, but will then somewhat uncomfortably relate that the program just isn’t or wasn’t totally for them. Those who still go to meetings every once in a while will explain that they don’t throw in with the entire program, but just like going for any of innumerable reasons beyond a full-bore commitment to work the steps. I’ve heard some people express thanks for the camaraderie, others the support; what they all have in common, though, is that they have internalized the one foundational concept that is the starting point for all sobriety: The inability to pick up another drink. If that’s all someone gets out of AA, then we can call that a huge success! In trying to explain how and why even people in AA relapse, another client of mine pointed out what I think was the most profound thing I’ve ever learned about the program. Having spent some years in AA, this fellow had moved on, but credited AA for getting him started and rooted in recovery. He then pointed out that it’s not the program, but rather the people in it, who screw things up. Consider the speed with which some people are moved through the steps. You can say you’re powerless over alcohol all day long, but it’s not saying it that matters, it’s accepting it. Think about it: The first step is the ONLY step in the AA program that even mentions alcohol. If anything, we should be trying to make everyone an overlearned expert in the first step before we ever bother introducing him or her to the second, or any other step, for that matter. What winds up happening is that a person learns to repeat “powerless over alcohol” enough times to remember it, then he or she is shuffled to the second step and beyond. The second and all the other steps may be wonderful in their own right, but until a person has fully accepted that he or she cannot pick up that drink, none of that will do him or her much good in the long run. This is huge. How long does it take a person to fully “accept,” meaning internalize, the idea that he or she is powerless over alcohol, and cannot pick up that first drink? While the obvious answer is we don’t know, it should be equally obvious that the reason someone does drink again is because he or she has NOT fully accepted his or her powerlessness. This notion is embodied in another AA saying that seems to get far less play; First things first. I’ve had clients who’ve spent years in AA without moving past the first step. That’s fine. All the inventories and amends in the world aren’t going to help a bit if someone is still struggling with the idea that he or she can drink. Yet if you have put 7 years of sobriety under your belt after having internalized the notion that you cannot ever pick up a drink again, yet you have no idea what an inventory is other than something that’s done in stores, then you’re far better off anyway. At the end of the day, you’re going to win your license appeal because you can prove, among other things, that you’re a safe risk not to drink again. Having written and shared an inventory or made amends doesn’t directly answer those concerns beyond the general idea that if you’ve gotten that far in the program, you have hopefully accepted, and not just repeated, that you’re powerless over alcohol. The state sometimes makes a mess of this by asking people who claim to be in AA to recite various steps in the program. This is one reason I caution my clients to NEVER overstate their involvement in or knowledge of the program. While it is incredibly short sighted for the state to assume that anyone in AA knows it all, it is a foolish mistake for someone filing a license appeal to make off as if he knows anything more about AA than he or she really does. If you go to AA and basically hang out at the first step table, or you go more for the fellowship than anything else, then be honest about that. For all the step talk we’ve been doing, some people just find support by being “around” AA at various intervals. At the end of the day, it comes down to different strokes for different folks. The whole Secretary of State license appeal process was conceived in the era of AA. The legal requirement that you prove your alcohol problem is “likely to remain under control” can almost be interpreted as proving that you’re likely to continue attending AA. This interpretation was a reality in the past, and although the case law interpreting these rules may have changed the letter of things, part of that spirit that AA is just “better” still lingers in the world of license appeals. Even though I’ve seem awesome sobriety without AA, the very idea that a person has a group which expects him or her to show up every so often has to be seen as another incentive to avoid picking up. Someone in AA has to think that, beyond all the consequences of me taking a drink, if I do, how am I going to explain myself? I know better, and I know that one drink is too many and a thousand is never enough. While AA does, indeed, provide an advantage in a license appeal, a person’s involvement with the program has to properly be used as an asset. You don’t win a license appeal just because you go to AA anymore than you lose a license appeal if you don’t. The fact is, you have to prove that you’ve been sober for a specific time (“alcohol problem…is under control“) and that you are likely to remain sober for the rest of your life (“and likely to remain under control”). If you attend AA, then we have to use what you take from the program in a way that proves those issues. In other words, it will not do to merely say you go to AA, you’re going to have to talk about what you get out of AA in the context of the legal issues on the table in a license appeal case. Of course, this is where I help. You may be the expert at telling your story at the tables, but I will to make sure we tell that story in proper context of a license restoration case so that you can get back on the road, legally. We need to leverage the advantage provided by AA to make sure you win your case. Beyond all the talk, if you really have quit drinking (you’d think everyone in AA has, right, yet we know better…) and I take your case, I guarantee that I will win it. When you’re serious about putting a valid license back in your wallet, give me a call.